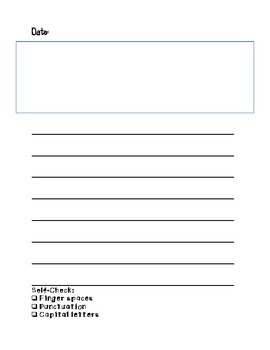 This PDF includes a writing journal cover page with a journal writing page. 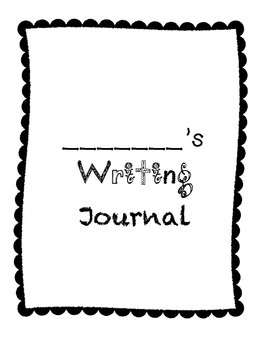 The journal writing page includes a box for a quick sketch or mini illustration, date, writing lines, and 3 self-assessment/self-checks. I used this with my 1st grade students and they LOVED it. They enjoyed being able to do their "self-checks" and checking off the boxes as they proofread and edited their journal entries.